Given that it’s Mother’s Day this weekend I thought I would give our readers some gift ideas for Mom. Finding a gift for Mom is no easy task. Try searching on the internet for gift ideas and 90% of the stuff you find is crap. I’ve put together 5 gift ideas that will save you time and Mom is sure to enjoy. Flowers, everyone loves flowers. They brighten up any room and last long into next week. 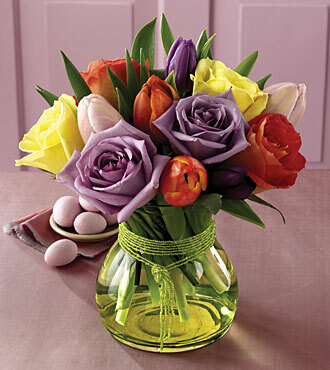 With such an easy and affordable gift to give you don’t just have to wait for an occasion to give flowers. Check out www.ftd.com for all sorts of Mother’s Day arrangements. If your mother is anything like mine then you can’t go wrong with a round of golf. It’s a great way to spend the day with your mother and family members outdoors for a little friendly competition. Go for a morning round and stay at the club house for lunch. If you and your mother have more refined tastes there is always jewellery. Diamonds are a girl’s best friend. A pair of stud diamond earrings from www.zales.com can’t go wrong. Finally if there is one thing that all women have in common it is the love of shopping for shoes. So why not give Mom a gift certificate to a shoe store like www.naturalizershoestore.com . Naturalizers are fashionable and comfortable. Anyone of these ideas is sure to please and all of them would make Mom feel like she’s in heaven! The most important thing aside from all the materialistic stuff is to tell Mom how much she means to you.